65% Poly 35% Cotton. Black belt trim along the collar of jacket. 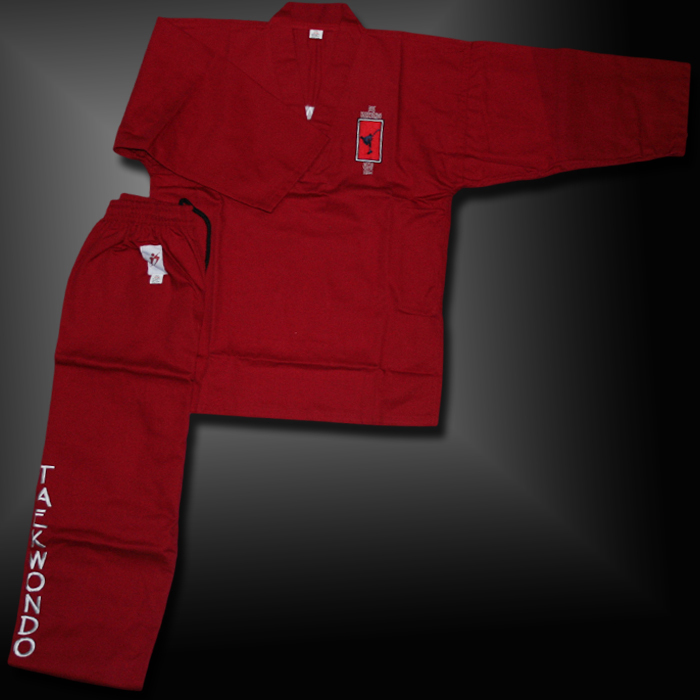 Full embroidery DOS TAEKWONDO logo badge on front.